How can I remove staff members? There are two options to remove an active employee: Deactivate and Delete. Go to the tab Staff and click on an employee you want to remove. 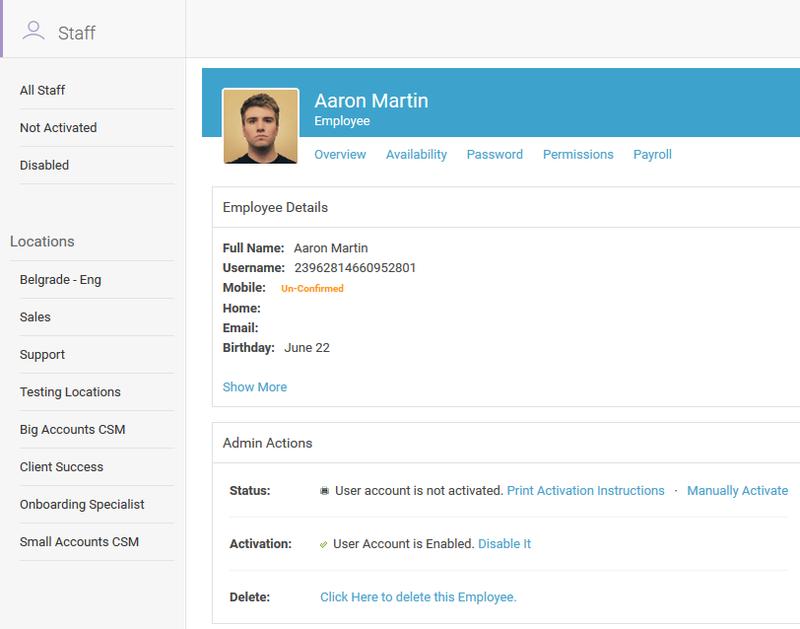 Under Admin Actions section click 'Disable it' option or Click Here to delete this Employee option.